* Get it all at once with a recent improvement of an included mat knife at no extra cost. 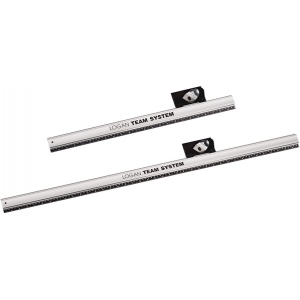 * This practical combo system includes a 24" (61cm) or 40" (101cm) straight edge and a Logan Handheld Mat Cutter for accurate, high quality mat cutting plus a three depth position mat knife with a slip lock depth feature for downsizing standard thickness matboard and foamboard up to 3/16" (4.7 mm). Just mark your borders using the ruled straight edge, attach the cutting head, and cut from line to line. * All models include a non-slip rubberized base, US or metric ruled straight edge, and a Logan Handheld Mat Cutter. * Can also be used with Logan Glass Cutter or Straight Cutter.